Now with these new bundles there is a catch. 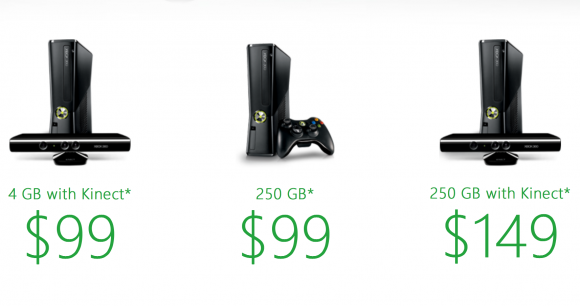 Those buying one will also have to comply with the required 2yr Xbox Live Gold Membership agreement at $14.99 per month. Gamestop, Toys R Us, BestBuy, Walmart and the Microsoft store will all have these available online and in stores on or after the 28th. Who's up for a new Xbox?